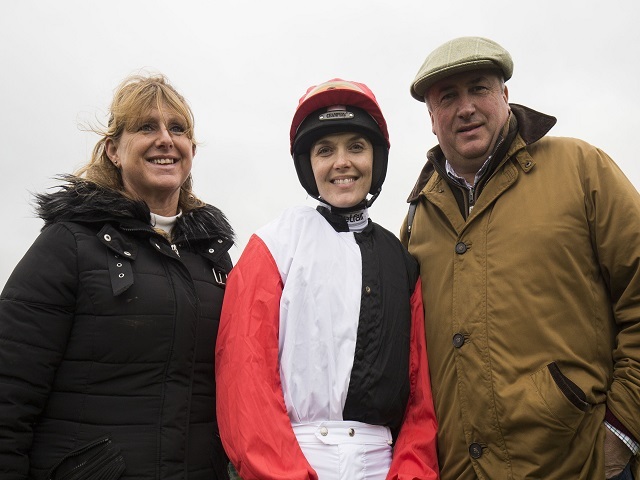 After accepting the Switching Saddles challenge, Victoria sat on a horse for the first time on February 22 2015 and, following thousands of hours of dedicated training, a few falls and a lot of early mornings, she has succeeded in her aim of being considered ready to ride at Cheltenham. You can show your support for VP by tweeting #GoodLuckVP. Victoria has ridden more than 60 different horses, taken part in 15 steeplechases (two Hunter Chases and 13 point to points) and has completed four flat races (including one charity race). The decision to ride at Cheltenham was taken by the team of experts assembled by Betfair, led by champion trainer Paul Nicholls, renowned riding coach Yogi Breisner and former leading amateur riders-turned-trainers Alan and Lawney Hill (below, with Victoria and Paul). The group of specialists have helped Victoria throughout the challenge and were unanimous in agreeing that the double Olympic gold medallist has proved she is up to the task of riding in the Foxhunters. In the race Victoria is due to partner Pacha Du Polder, on whom she won at Wincanton last week. The nine-year-old gelding is trained by Nicholls and owned by Andy Stewart and his family. It will be the fourth time Victoria has ridden Pacha Du Polder in a race. Betfair makes them a 14/1 chance to win the race. Victoria said: "When Betfair approached me about the Switching Saddles challenge, the chance to learn a new skill and the scale of the challenge captured my imagination. We have always had the extremely ambitious target of riding competitively in the Foxhunters as our goal, so to be announcing that I have achieved this goal is a truly amazing feeling. "The whole journey has been a remarkable experience and I have a lot of lasting memories from the last 12 months, I would like to thank Betfair and the team of experts I have been provided with for making the journey possible. I would also like to add that I'm delighted that the Stewart family has kindly made Pacha Du Polder (below, with VP in the saddle) available for Cheltenham. It's great that an owner of Andy's stature is putting his faith in me to ride one of his horses in such a significant race." Victoria and her support team have been hugely grateful of the backing offered to her along the way from the racing industry as well as the media. Now, with just over a week to go until the big day, Victoria needs the support of the nation more than ever. This is a whole new world for Victoria and the thought of lining up in a race on Gold Cup day at the Cheltenham Festival in front of a sell-out crowd of 70,000 spectators is no doubt as daunting as it is exciting. 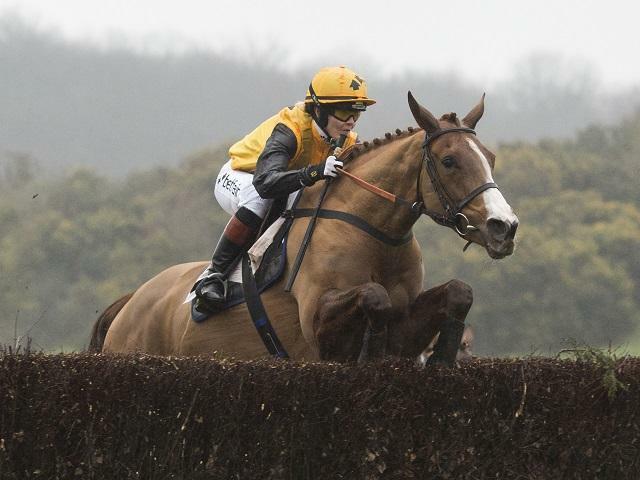 Barry Orr, Spokesman for Betfair, added: "Betfair are proud to have helped Victoria to not only take on this groundbreaking 12-month Switching Saddles challenge, but also achieve the ambitious target of riding competitively in the Foxhunters. "Most importantly we hope that through Victoria's remarkable achievements, and the Switching Saddles challenge as a whole, we have been able to take horse racing to a wider audience by profiling the skills, athleticism and courage faced by jockeys every day. "We would like to thank the racing industry as a whole for their support over the last year, and in particular Betfair's team of experts including Lawney and Alan Hill, Paul Nicholls, Yogi Breisner, and all those who have supported Victoria. Without their help Victoria wouldn't have achieved this remarkable transition. Now we want the whole nation to get behind her." Any support for Victoria between now and the Foxhunters can be shown via social media, and would be greatly appreciated. You can support by tweeting a message, a picture or a short video accompanied by the hashtag #GoodLuckVP and both @V_Pendleton and @Betfair.